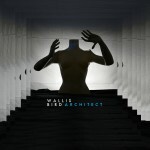 Wallis Bird is about to unleash her latest single “Daze” on September 26th. The highly accomplished Wexford woman takes the tune from “Architects”, her fourth album released in April 2014. Directed by Andrew Herwitz, it portrays an unfulfilled, rejected lover and his obsession with the woman who haunts him. Non stop, tight and tense and that’s just the song. Watch our handsome, heart ache hero battle with lost love to the soundtrack of Bird’s relentless guitar riddled melody.